Rated 3 out of 5 by biscuitsmama from A Tale Of Star-Crossed Lovers And The Evil Count Who Strives To Keep Them Apart You play the game as Jacques D’ Perrault and you find yourself in prison with no memory of who you are or why you are there. Just before you are scheduled to be executed, you are visited by a stranger who says he is going to help you escape and that is where your adventure begins. The year is 1789 and apparently you have kidnapped and seriously wounded the future countess D’Morten and that is why you are awaiting your execution so now you must reconstruct what happened and prove your innocence before the blade falls. The game offers four modes of gameplay: Casual, Advanced, Expert, and Custom. I always select the custom mode when it is offered so that I can set up the hint and skip times for my preference. The graphics are excellent and some scenes are beautiful BUT there is also a bit too much use of purple and pink in some of those scenes. The game has excellent lip-synced voiceovers and with the inclusion of the music and special sound effects the game comes to life. 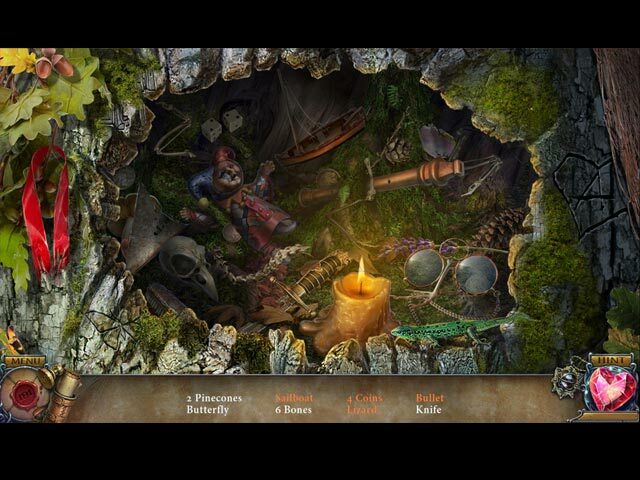 Many of the hidden object scenes are interactive and they are not always obvious. I sometimes didn’t realize when I was in a HO scene because they were woven seamlessly into the storyline. I very seldom have to resort to using the hint button to locate items in the HO scenes in a game but I found that I needed it more frequently in this game. I guess that means either the game is more difficult or the items are just invisible. Frankly, I think it is a combination of both as some items were very well hidden and were not in my face obvious. On the other hand, the puzzles were very easy, in fact extremely so. 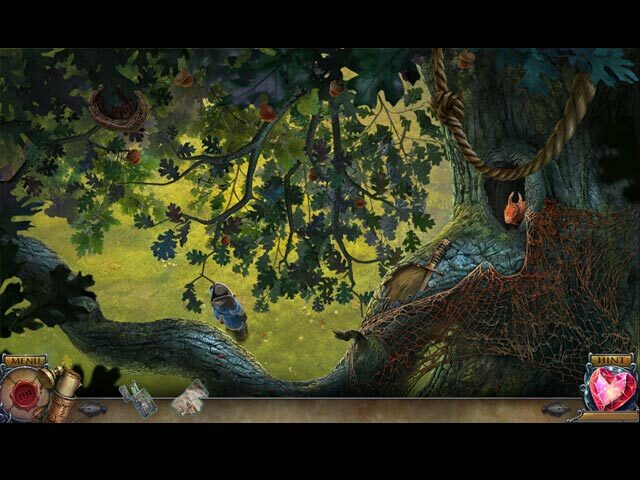 In the words of another excellent reviewer, his wonder dog Stanley could complete the puzzles with a tap of his paw. Yes, the puzzles are that easy but hopefully they will pick up in difficulty later in the game The game has an interesting but sometimes familiar storyline of a Count obsessed with power and the young lovers he attempts to destroy. As we delve further into the story we find a more sinister count with a history of many wives. The fact that the count kept ridding himself of wives is a similar theme to the story of Bluebeard but told with a different twist. Although the storyline is familiar and a bit wornout, I like this game and it has enough challenge to keep my brain busy even with the easy puzzles. 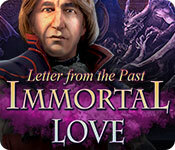 Even though the game was one I liked, please try Immortal Love Letters from the Past to see if it is a game you will enjoy. Rated 2 out of 5 by roaming from Please, not another gadget! Yet again, we have another silly gadget. This one turns back time, apparently so you can get out of whatever predicament you find yourself in, and then real time starts up again. Since the premise of the story is that you've been imprisoned AND you've lost your memory, it begs the question... why not just use the gadget to turn time back to a point before whatever happened that caused you to get arrested and lose your memory? Boom, problem solved. Okay, maybe you can't do that, but irrational premises aside, I found the story to be insipid and absurd, and the gameplay boring with too-easy HOS and the same puzzles/ minigames we've seen time and time again. A little creativity and ingenuity on the part of developers would be appreciated.